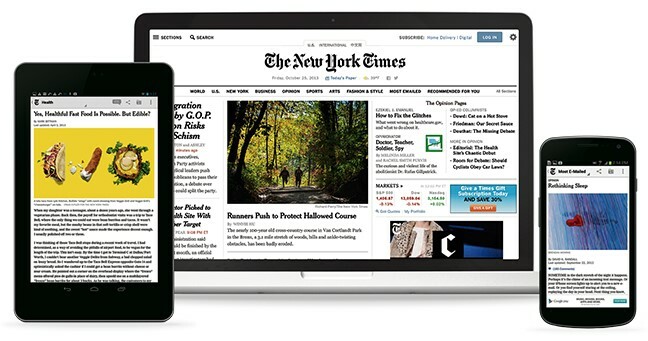 Boulder Public Library patrons can now enjoy digital content from the New York Times on their home computer, laptop, phone, or tablet. Go to New York Times. Create an account. Click “Log In” and then “Sign Up” to create an account with your email address, or log in if you have already have an account. Do not use the Subscribe button. Receive your access code for 72 hours. Click “Redeem” to get 72 hours of continuous access. Click "Log in" and then "Sign Up" to register with your email address, or click on “log in here” if you have an account. • Questions? Please contact support at (877) 772-8346. ~ Search and browse fhe Daily Camera from 1978 to present. ~ NOTE: This is not a full digital replica of the Daily Camera: Advertisements, graphics and wire service articles are excluded.